Founded more than 1300 years ago, Bulgaria is the oldest state in Europe. 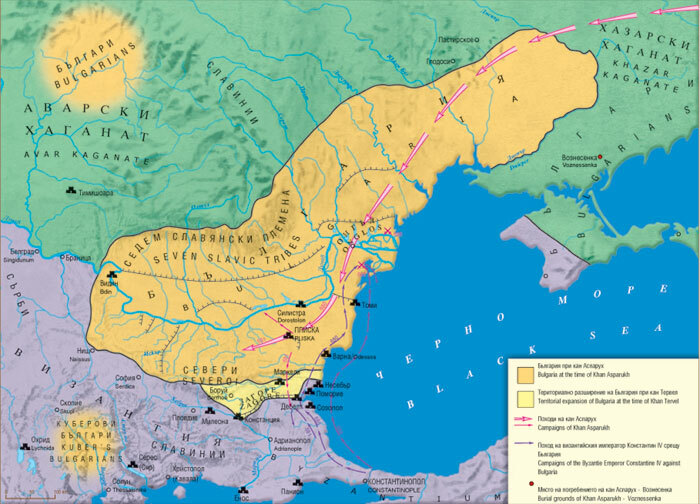 United by Khan Asparoukh , the Proto-Bulgarians and the Slavs set up in 681 a state of their own, which quickly established itself and expanded. Under the rule of Prince Boris (852-889) this union became even stronger when the country adopted Christianity in 863 . 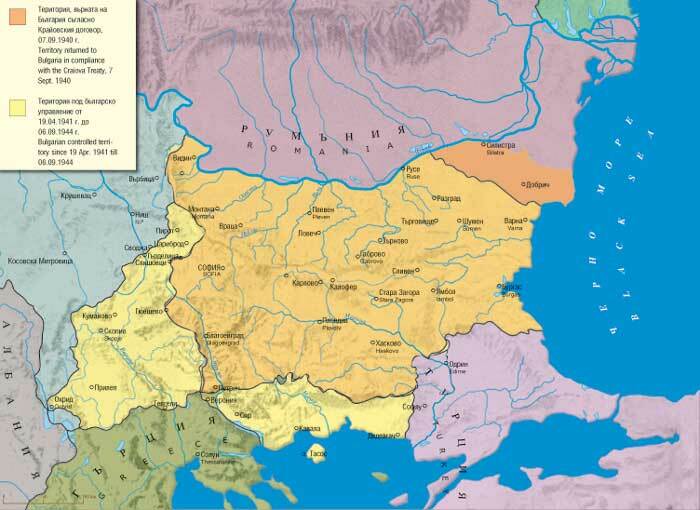 Bulgarians and Slavs proved that Bulgaria was not temporary and it joined the most powerful countries at the time – Byzantium and the Frankish Empire. 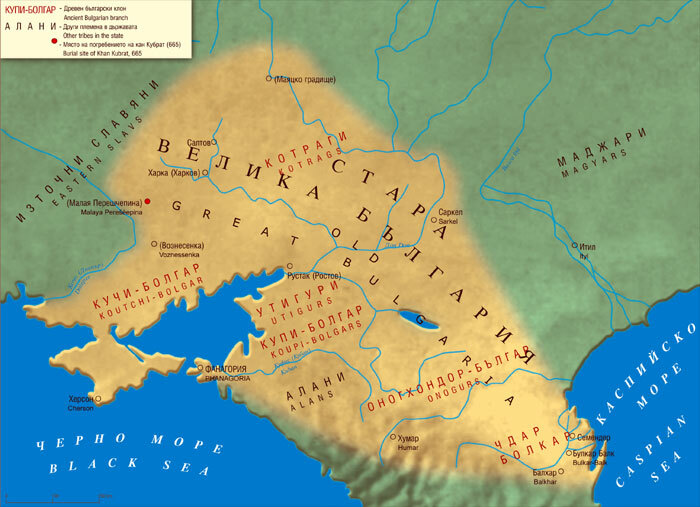 Bulgaria developed as an independent and autonomous state, with literacy and culture of its own, for which the Slavic alphabet, invented by the brothers Cyril and Methodius (855) , contributed vastly. 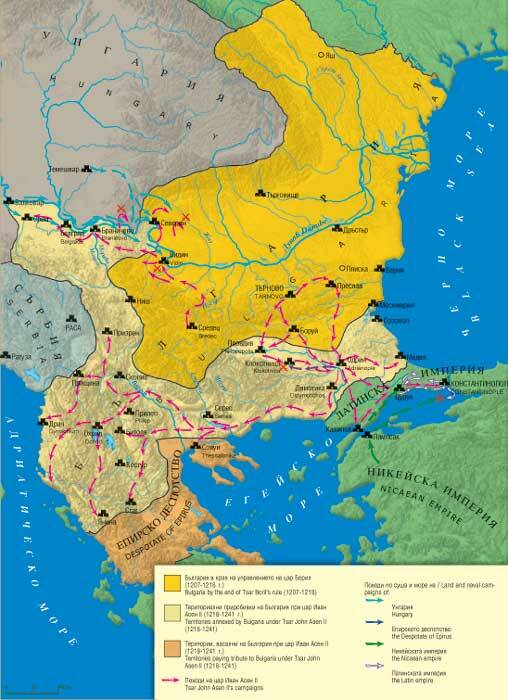 Under Prince Boris's successor Tsar Simeon (893-927) Bulgaria's territory spread out on three seas and turned into the most powerful state and a literature and cultural centre. During the several following decades the country declined and was subject to constant attacks by Byzantium, which in 1018 succeeded in conquering Bulgaria. This period lasted until 1185 , when after the revolt of the brothers Assen and Peter the autonomy of the state was restored. 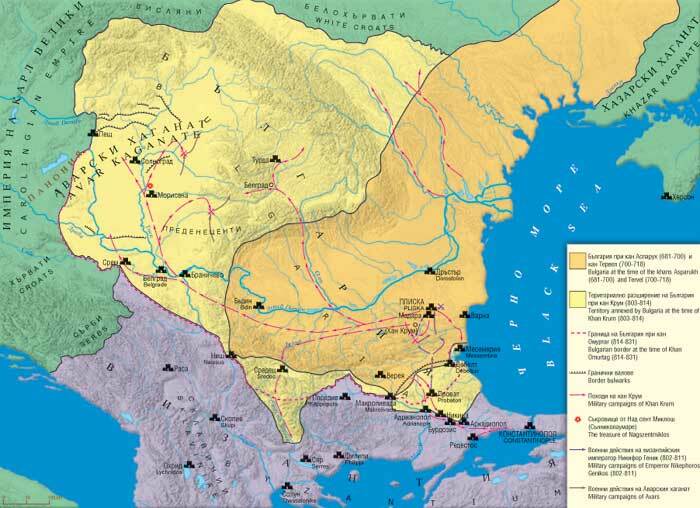 Under the rule of Tsar Ivan Assen II (1218-1241) Bulgaria reached the height of its political might and it again reached three seas – the Adriatic, the Aegean and the Black Sea. Under Tsar Ivan Assen II's successors the state started to decline again. 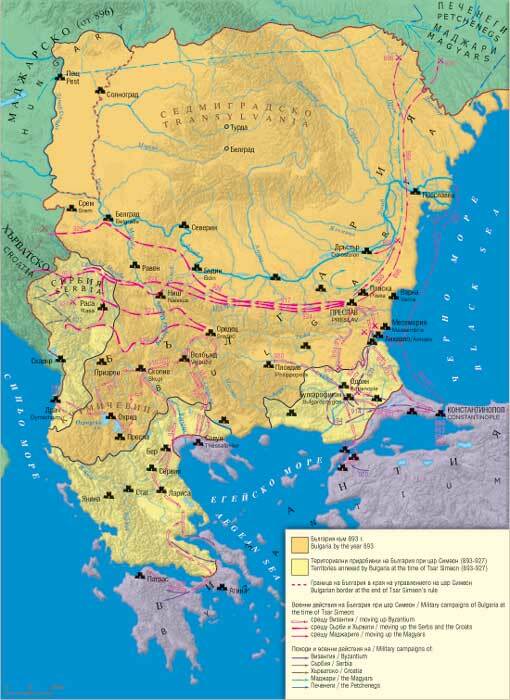 The Balkan countries often fought one another, which brought the Turks to the Balkan Peninsula in the 4 th century. Bulgaria couldn't manage the Ottoman invasion, which ended in 1396 with the conquest of the last Bulgarian fortress – Nikopol. 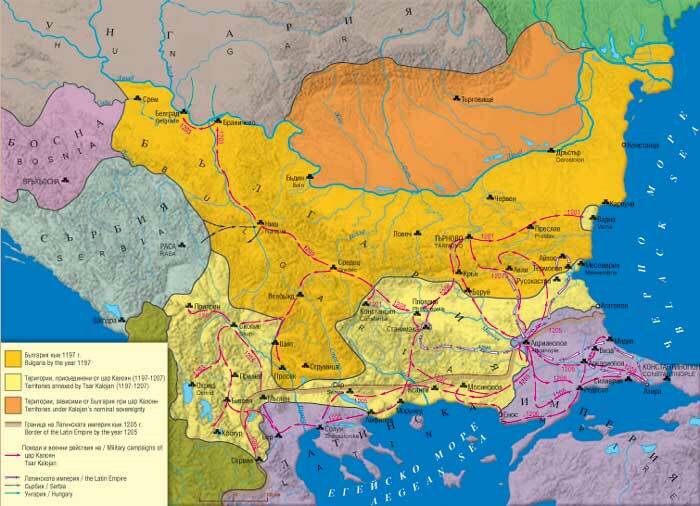 A period of five centuries in the history of Bulgaria set in, known as the Turkish rule. At that time the Turks tried to assimilate and subordinate the Bulgarian population, which in the beginning made unsuccessful attempts to overthrow the Ottoman invaders. It was not until 500 years later that the Bulgarians managed to organise a liberation movement. 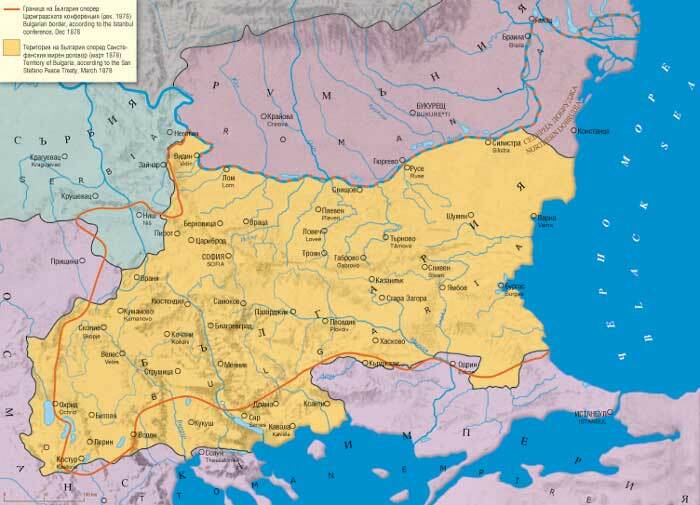 With the help of Russia Bulgaria was liberated in the Russian-Turkish war of 1877/1878. On 3 rd March 1878 the peace treaty of San Stefano was signed, which ruled the borders of the liberated country. Bulgaria restored its ethnic borders (172 000 sq . к m .). This, though, contradicted the desires and the interest of the Western powers and on 13 th July 1878 Bulgaria was fragmented by the treaty of Berlin. 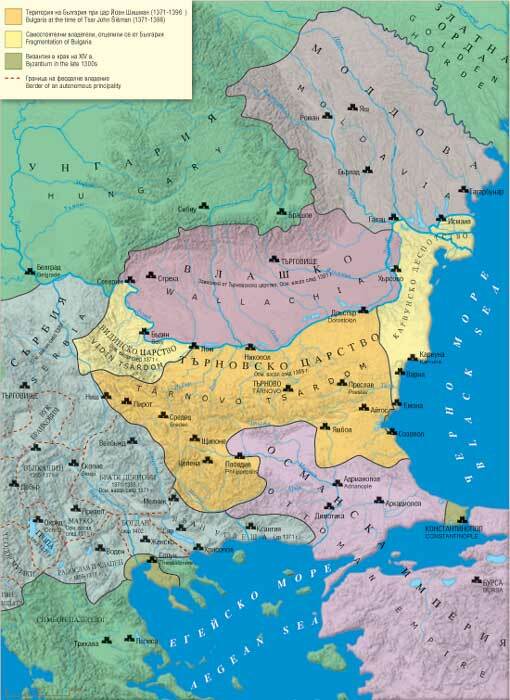 Bulgaria was divided into the Principality of Bulgaria, with a capital the city of Sofia, and the tributary Eastern Rumelia with a capital the city of Plovdiv. This partition lasted until 6 th September 1885 , when the Unification act succeeded. This was much resented by the Great Powers, in particular Russia, but nevertheless on 24 th March 1886 the Unification is recognised by all countries, including Turkey. This opened the way for the real and independent development of Bulgaria. The act of Unification was continued with the proclamation of the Bulgarian independence on 22 nd September 1908 on the Tsarevets hill in Turnovo. In the beginning of 20 th century the Balkan countries united against the Ottoman Empire and on 5 th October 1912 the First Balkan War broke out , in which for less than a month the allied forces brought the recent enslaver to its knees. On 17 th May 1913 representatives of the Balkan alliance and Turkey sign the peace treaty of London, which stipulates that Turkey should yield all its territories west of the Midia-Enos line. The Balkan alliance, though, could not resist the contradictions among the allies and the pressure outside and that was how the Second Balkan War /16 th June 1913 / broke out , which was fatal for Bulgaria. The state ceded South Dobrudja to Romania, Western Thrace to Greece, a major part of Macedonia to Serbia and Adrianopol to Turkey. In the following year World War I /1914-1918/ broke out , in which Bulgaria, led by Tsar Ferdinand, joined the side of the Central Powers in 1915 and ended on the losing side with many casualties and territorial losses, stipulated in the Treaty of Neuilly of 27 th November 1919 . Between the two World Wars Bulgaria was shaken by great national unrest. In 1935 Tsar Boris III became the head of state; he died during World War I in 1943. In World War II /1939-1945 / Bulgaria joined the side of Germany in 1941 ; however the Bulgarian army did not actually conduct any military operations against Russia and did not participate in the persecution of Jews, they even saved the Bulgarian Jews. On 05.09.1944 Russia declared war on Bulgaria and the Russian troops invaded Bulgaria. After the end of the war Bulgaria's borders remained the same as in 1940, when Bulgaria reclaimed South Dobrudja . On 09.09.1944 a coup d'etat took place in Bulgaria and the Fatherland Front took over. Bulgaria became a National Republic, and Georgi Dimitrov became Prime Minister; he died in Moscow in 1949. In 1954 Todor Zhivkov became Chief Secretary of the Bulgarian Communist Party; Bulgaria started developing after the Russian example. Todor Zhivkov's rule continued until November 1989 when communism collapsed everywhere in the European socialist countries, including Russia. Since then, Bulgaria has been trying to take the democratic way for 16 years now. The country became a member of NATO in March 2004 , and is expected to join the European Union in 2007 .